This month’s Chair of the Month is straight from the office of Don Draper himself. 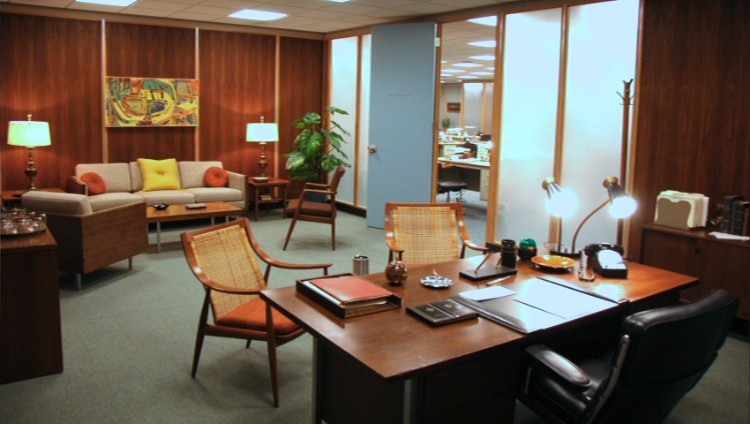 You can see this beautiful chair sitting at his desk in his newly designed office which was upgraded from the office you originally saw in the Mad Men pilot. The Armchair, model FD-146, was designed by Peter Hvidt & Orla Molgaard Nielsen (Denmark) in 1953. The chair was made by France & Daverkosen, also in Denmark. It is considered a Mid-Century/Scandinavian style and is constructed of solid teak with an upholstered seat and cane back. If you would like to know more about the design of this office and where to find other pieces to get this look yourself then check out this great article on The Mid Century Modernist here.